You might be asking yourself, What is Immersion Therapy™? That’s a great question! 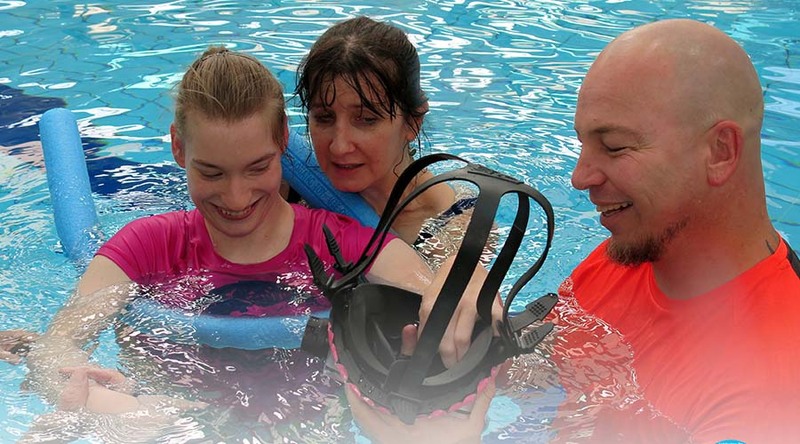 The Immersion Therapy™ service is becoming recognised across Australia and Internationally as a world-first service, in which people living with an injury or disability can have access to movement and benefits like never before. Determined2® won the Excellence in Inclusive Service Delivery category in the 2016 National Disability Awards for our delivery of Immersion Therapy services. These awards are internationally recognised as part of the United Nations International Day of People with Disability (IDPwD). You can view images and video footage of the service in our Media Gallery. As they say, ‘A picture speaks a thousand words’. The Immersion Therapy™ service was specially developed to offer freedom of movement within a weightless environment and work within the well-recognised benefits of a biopsychosocial model. The biopsychosocial model states that health and illness are determined by a dynamic interaction between biological, psychological, and social factors. Determined2® aims to work within this model to provide participants with a supportive, inclusive and healthy environment in which to gain therapeutic benefits in all these areas. Immersion Therapy™ has demonstrated great results for those who have participated.